Some 97 girls from two schools in northern Afghanistan have reportedly been hospitalized after falling sick as a result of suspected gas poisoning. In Maimana, the capital of Faryab province, a total of 77 girls from the same school were taken to hospital on Saturday afternoon after they fell ill, Afghan Pajhwok news agency reported on Sunday. Another similar incident occurred the same day in the town of Behsud, where 20 girls in a local secondary school fell ill for unknown reason. All of them were also taken to hospital for treatment - their condition is non-threatening. Police, who searched the building, said they found no suspicious objects that could cause health problems among the girls. They do not rule out heat and the unhygienic conditions that the children endure, as a reason. However, one of the girls who fell sick said that there was “bad smell” in the classroom when they got there in the morning and just an hour later several girls fainted. She pointed out that serious attention is given to cleanliness in her school. Education Director Abdul Ghafoor linked the illness to fears among schoolchildren about gas attacks. These two incidents are the latest in a string of suspicious cases when dozens of girls were simultaneously falling sick. Similar cases were reported in May in Faryab and Balkh provinces where 80 and 150 girls respectively fell ill after alleged gas attacks on their schools. 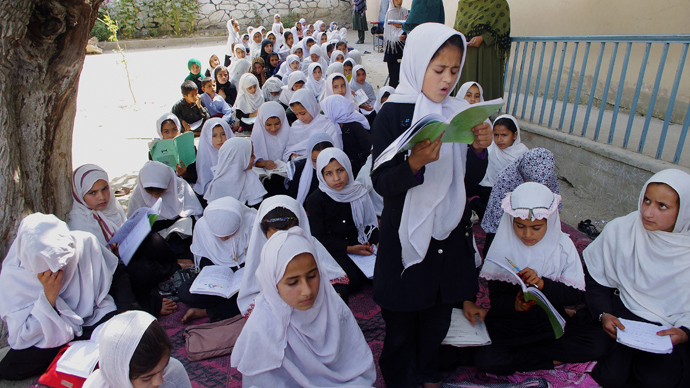 In April, 74 girls were hospitalized when they became ill after noting a gas smell in the air in their school in the Taluqan, the capital of the Takhar Province. Four poisoning attacks in girls’ schools hit the province last year, prompting local officials to order the head teachers to stay at school until late, to test the water for contaminates and for staff to search the grounds for suspicious looking objects. 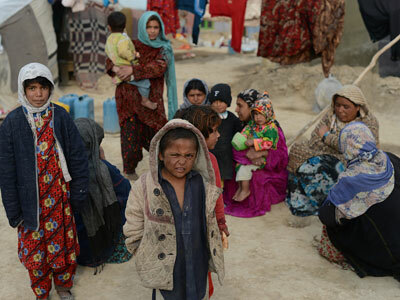 Militants who oppose giving girls the right to education have been blamed for the alleged poisonings. However, the Taliban denied their involvement in the attacks, saying they “strongly condemn” such actions, vowing to punish those behind them, the movement’s spokesman Zabihullah Mujahid told the BBC earlier in the week. Women in Afghanistan got back basic rights after the Taliban were ousted in 2001. 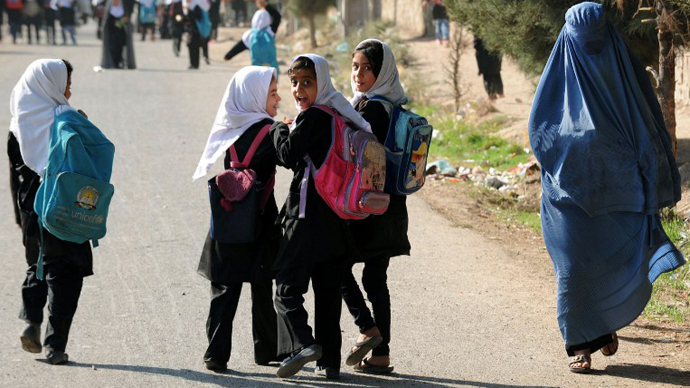 Females, especially in the capital Kabul, returned to schools – which they were banned from during the Taliban regime in 1996-2001. Now, as the Western coalition forces prepare to withdraw their forces, it is feared that the situation may get worse again.